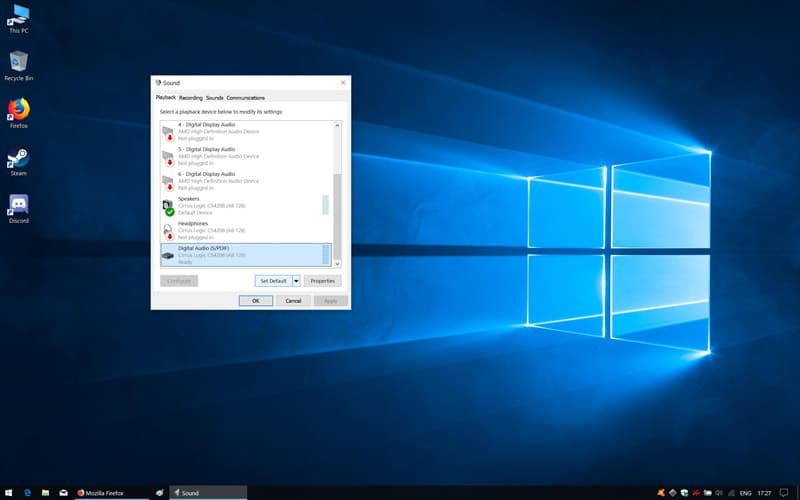 If you’ve lucked out and are among the fortunate few with a 5.1 surround sound setup, then Windows 10 is fully geared to make use of its limitless audio and atmospheric possibilities. The question is how does one go about configuring 5.1 surround sound in the OS? As is probably the most maligned aspect of Microsoft’s flagship product, the process is somewhat hidden away, but relatively straight forward. As always, in our guide, we provide all the steps necessary to get set it up, test it, and have everything working smoothly in no time at all. It is worth noting that real 5.1 surround sound has a few prerequisites, chiefly that the PC has to be 5.1 enabled through its sound card or inbuilt motherboard audio outputs. From here on, we’ll assume that because you’ve spent hard earned cash on a 5.1 surround sound system you’ve done your research and have a sound card cable of 5.1 output. 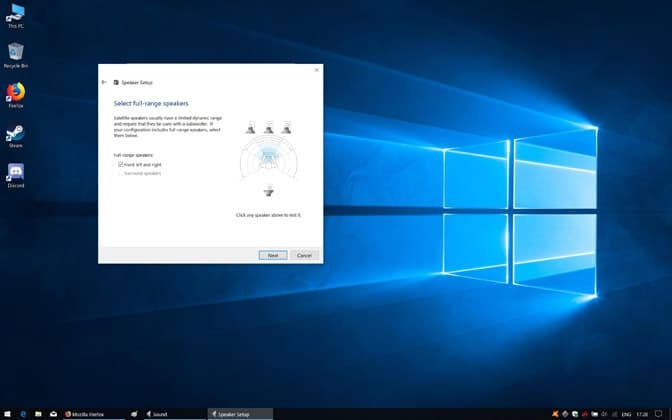 As a precautionary measure, we always recommend updating the computer’s sound drivers before configuring 5.1 surround sound in Windows 10. 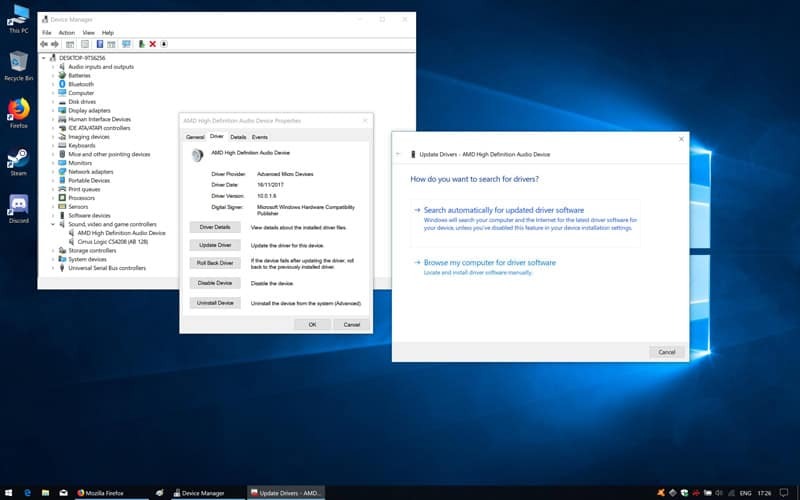 Right-click on the Windows Start menu icon in the bottom left of the desktop and then ‘’Device Manager’’ in the top portion of the listed options. In Device Manager, expand the ‘’Sound, video, and game controllers’’ option. Locate and click on the sound card connected to the 5.1 surround sound speakers then select ‘’Properties’’ from the contextual menu that pops up. Navigate to the ‘’Driver’’ tab. Click ‘’Update Driver’’, then ‘’Search automatically for updated driver software’’. Windows will search for the latest driver and install it if it has yet to be uninstalled. Alternatively, you can visit the sound card manufacturer’s website then navigate to the support page and download the latest drivers. Once downloaded, run the executable file and follow the installation steps. A restart is often required. With the sound card spruced up with the latest driver, we can set Windows to run 5.1 surround sound. To begin, right-click on the speaker icon in the Windows system tray and click on ‘’Sounds’’. In the Sounds window, navigate to the ‘’Playback’’ tab. Click on the 5.1 surround sound enabled sound card among the list of audio devices and then hit the ‘’Set Default’’ button just below. Click ‘’Configure’’ to the left of the Set Default button. When the Speaker Setup window opens, choose 5.1 Surround from the ”Audio Channels” list on the left. On the ‘’Customize your configuration’’ window that follows, tick all the boxes next to the ”Optional speakers” if you have a full array of speakers (subwoofer, center, side pair, and rear pair) or select them according to your specific setup. On the following ‘’Select full-range speakers’’, tick the box next to the speakers in your setup that have full dynamic range capabilities. Click ‘’Next’’, and you’ll land on the ‘’Configuration complete’’ screen. Click ‘’Finish’’ to apply the new settings. Now that we’ve set up the 5.1 surround setup in Windows 10, we need to check whether our settings work. 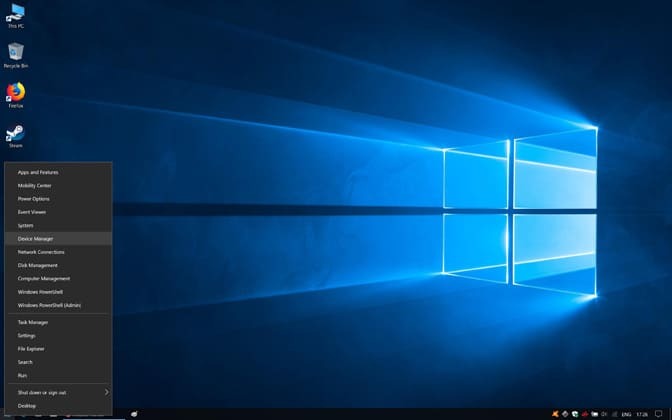 Luckily Windows 10 has its very own testing protocol, which simplifies matters significantly. Here’s how to use Windows 10’s inbuilt configuration testing feature. Open the Playback tab in the ‘’Sound’’ properties window again. If in doubt, refer to steps 1 and 2 in the section above. Select the 5.1 enabled sound card and hit ‘’Configure’’. Note the ‘’Test’’ button below the list of ‘’Audio Channels’’. Make sure the speakers are on, and the volume is sufficiently turned up then hit ‘’Test’’. Windows 10 will push sounds through the speakers one at a time. 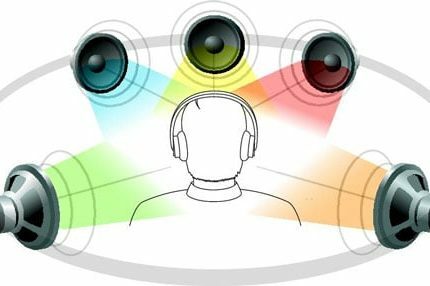 You can refer to the visual diagram on the right of the Speaker Setup window to know which speaker is being tested. Listen attentively and make sure audio is coming out of each of the speakers. If everything sounds good, click ‘’Cancel’’ to exit the Speaker setup window. Close down the ‘’Sound’’ window. Open up an audio player of your choice (iTunes, Spotify, Winamp, etc.) or load up YouTube other browser-based media platform and play a song/video/movie. Make sure the audio is coming out of all the speakers. Finally, we want to test the setup with a snippet of actual 5.1 designed audio. Load up this YouTube video. Hit play and allow it to run its course, listening out as the sounds transition from speaker to speaker and making sure everything is working swimmingly. That’s pretty much all there is to configuring and testing 5.1 surround sound in Windows 10. 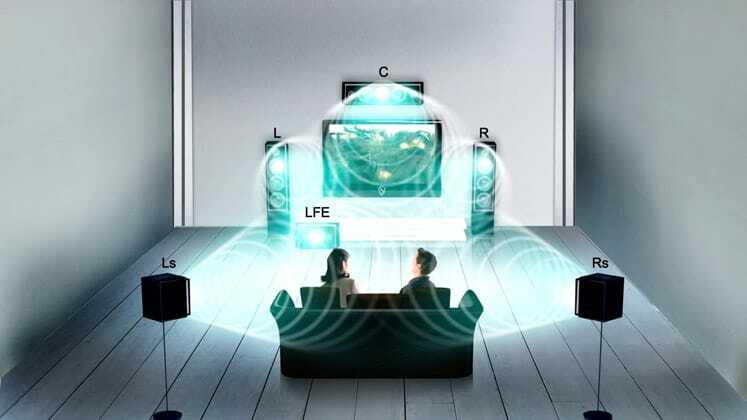 From here you can enjoy movies in all the glory of 5.1 surround sound or partake in the latest 5.1 enabled AAA gaming titles knowing you won’t miss a sound.